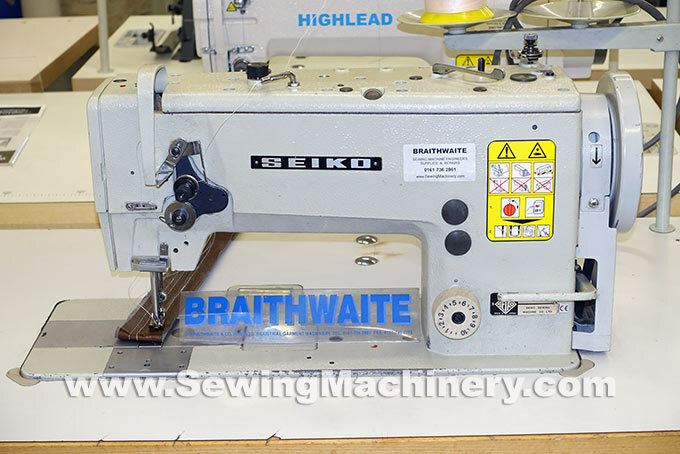 Used Seiko LSWN-8BL walking foot sewing machine with vertical axis hook & base. Made in Japan by Seiko. 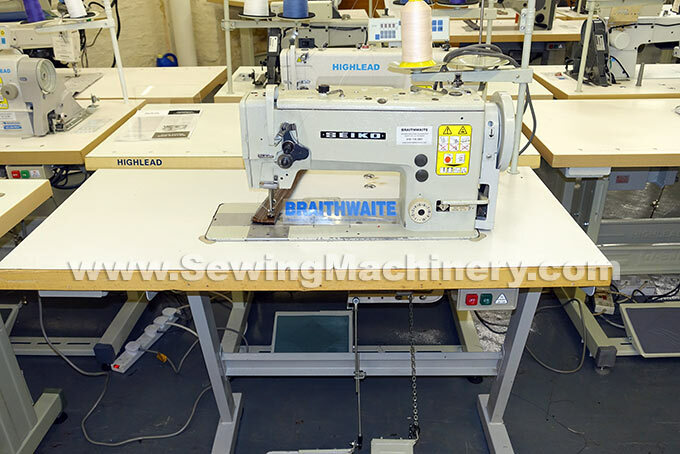 Fitted with foot pedal operated foot lifting device. Assembled with unit stand, table top and slow speed 1425rpm clutch motor.